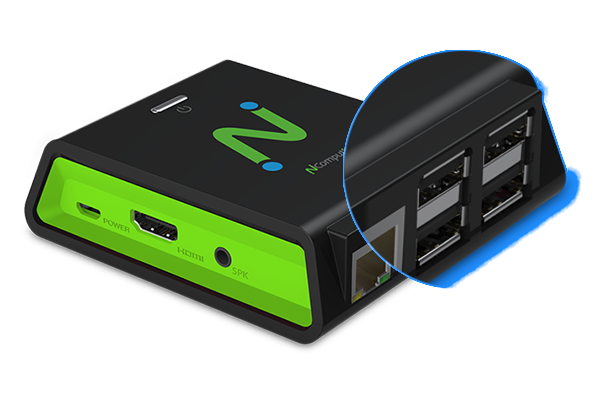 The RX-HDX Thin Client is built on the latest Raspberry Pi 3 with fully optimized Citrix HDX Ready integration for compelling performance. 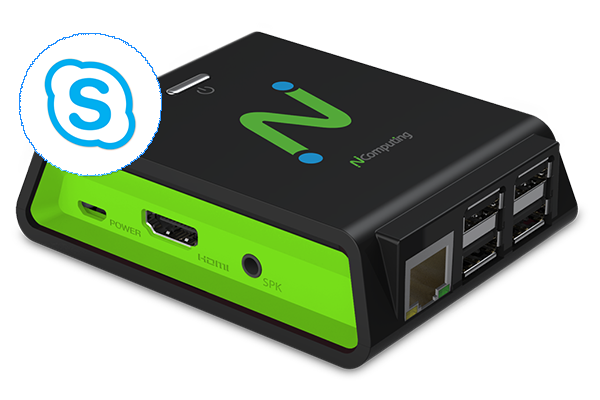 Supercharged with NoTouch OS for Raspberry Pi and integrated with Stratodesk’s enterprise grade device management software, built-in Ethernet and WiFi, and optional dual monitor support, the RX-HDX delivers a high-performance and purpose-built desktop virtualization solution for Citrix enterprise customers. 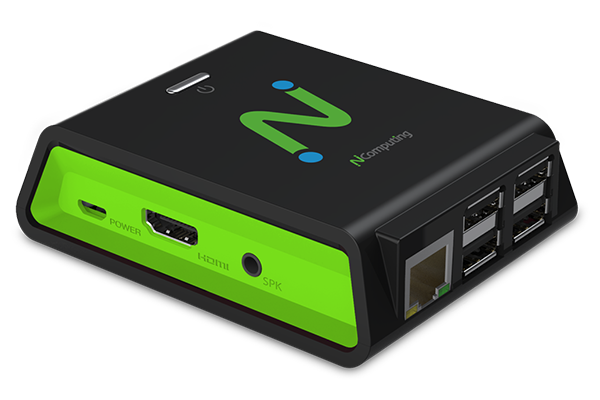 For organizations looking to broaden their commitment to Citrix XenDesktop or XenApp, the new NComputing RX-HDX Thin Clients for Citrix HDX deliver 100% of the HDX experience at a fraction of the cost of PCs or other Thin Clients. The RX-HDX is fully optimized for Citrix HDX Ready integration delivering a low-cost and powerful desktop virtualization solution for enterprises. Powered by the latest Raspberry Pi 3 platform with quadcore Broadcom 2837 SoC, the RX-HDX provides the full HD multimedia capabilities demanded by knowledge works and other environments that require less than 5 watts of power. 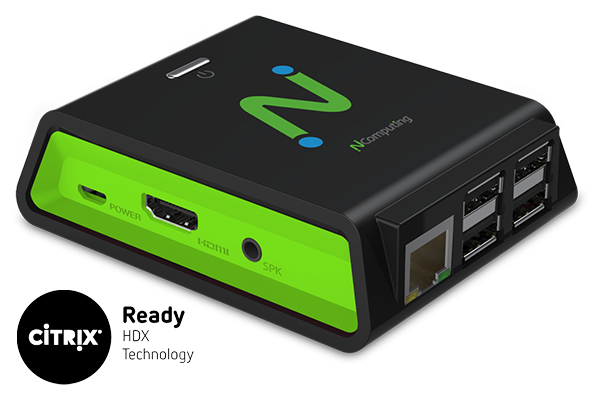 The RX-HDX Thin Client incorporates full client-side rendering for efficient video playback and uses server-side rendering for flash video playback with resolutions up to 1920×1200. RX HDX Ready Pi integrates with Stratodesk’s enterprise grade device management software. Organize deployments in single or multiple sites with one software solution that simplifies management tasks including firmware updates, configuration changes, device resets and more. By allowing administrators to access and manage all RX-HDX devices from a single location, regardless of the size or number of deployment sites, we dramatically reduce the administrative overhead needed to maintain and control their environments. 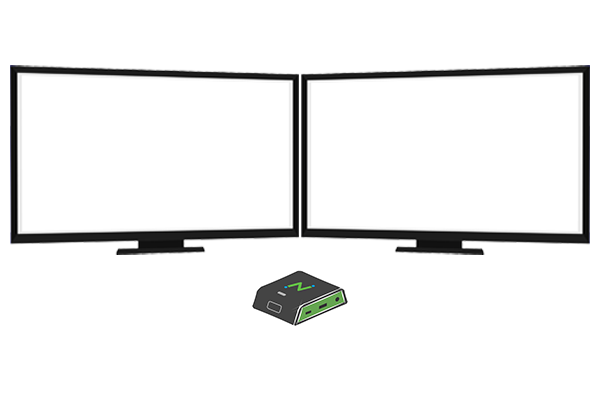 Dual Monitor is supported on the RX-HDX Thin Client via the Secondary Display Adaptor (HDMI). Take advantage of increased screen real estate for increased productivity with true HD content display and playback support. 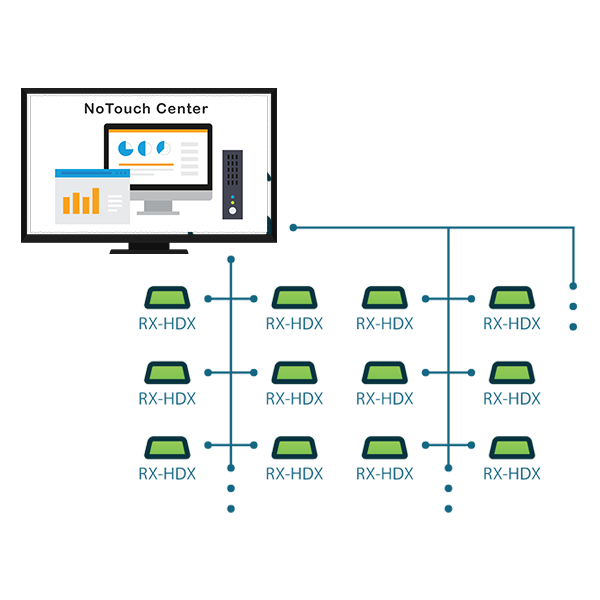 Deliver clear, crisp high-definition audio-video conferencing with integrated HDX Real-Time Media Engine support. 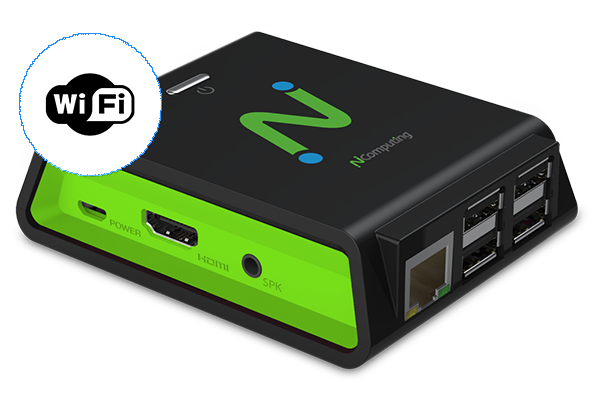 RX-HDX comes with built-in 10/100 Ethernet and Wi-Fi (802.11 b/g/n) with 802.1x standard support. Organizations are no longer bound to the wiring infrastructure and can deploy RX-HDX in any location with Wi-Fi access to deliver the desktop experience. RX-HDX allows transparent redirection of USB peripheral devices including mass storage, printers, scanners, smart card readers, headsets with speakers, webcams, COM ports, 3D mice and the standard keyboard and mouse. Network-connected printers can also be redirected to Citrix sessions.